Buy 250 Business Cards Get 250 Free! Looking to create a professional and strong image for your company but do not have the budget to outsource creative to a design firm? Design & Print is your solution. 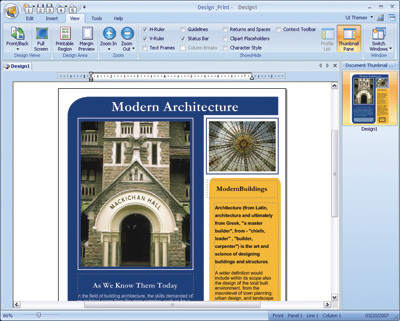 It lets you easily create brochures, newsletters, letterhead, business cards, postcards, and more at a fraction of the cost. With over 8,400 professionally designed templates, 500 graphic typestyles, 75 complete sets, and special text and image effects, you're well on your way to creating high-impact and unique marketing documents that will leave a lasting impression with your customers or clients. 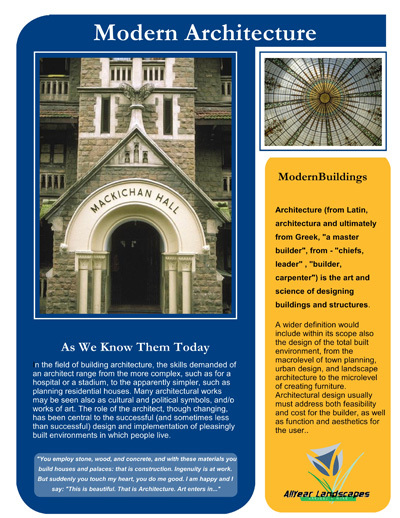 For post cards, brochures, letterheads, envelopes & more, go to www.mysoftwareforms.com. 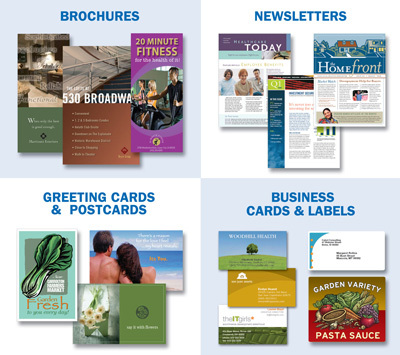 Easy-to-use - design brochures, newsletters, postcards, business cards, and more in minutes! Just 5 minutes to learn the basics! 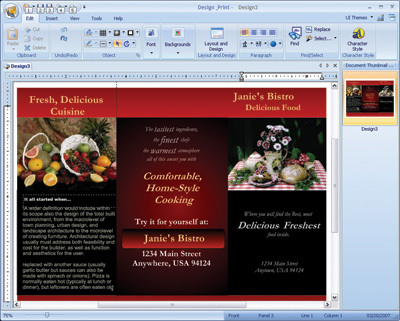 Affordable - design, customize, and print professional marketing documents for just $39.95. 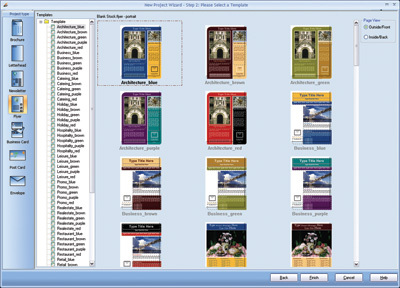 Perfect for the business user - thousands of card designs for every business. Build a professional image with Matching Sets. Easy access to advanced design tools - image and text effects including invert, emboss, blur, drop shadow, transparency, text art feature, and more. Guaranteed quality marketing documents - 100% Avery® compatible. Choose from more than 8,400 professional background designs and a broad variety of layouts. From classical and professional, to corporate and contemporary, Design & Print lets you design high-impact marketing communications for every business. You can even customize your design to fit your needs. Create a consistent company look with over 75 matching sets of your marketing communications, including brochures, letterhead, business cards, labels, and more. Easily share your designs with your customers. Design & Print lets you easily convert your designs to PDF so you can quickly email to customers or for professional printing. With easy to use printer alignment tools, it's easier than ever to preview, print, and share your designs. 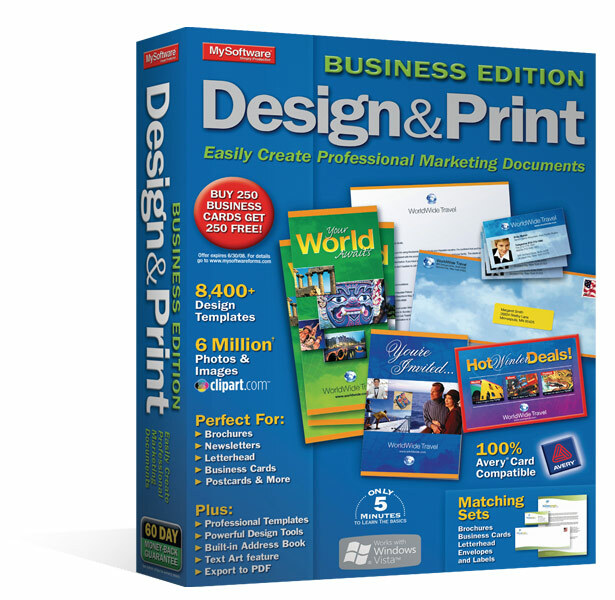 Design & Print even provides a built-in address book. Just insert mailing addresses to your marketing documents and send them to your customers. Create documents with impact. 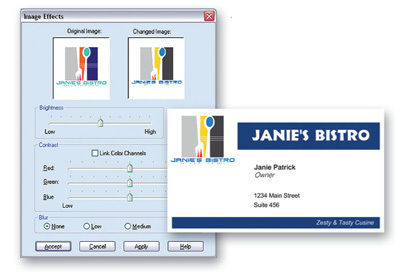 Design & Print lets you adjust any image to your liking. You can change brightness and contrast, emboss, invert or blur for a designers touch. Placing text and logos over images just got easier. Create stunning text with powerful text effects. Select from 500 professionally designed graphic typestyles or create your own unique text with warp, shadow, transparency, outline and color. NEW! Professional Letterheads, Brochures, Business Cards & More! Get access to professional & affordable marketing communications for your business. Simply visit www.mysoftwareforms.com.